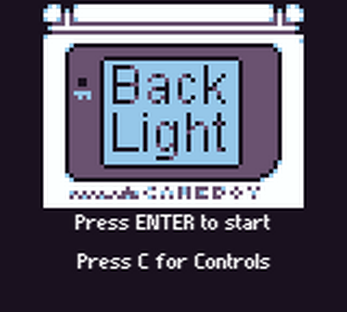 Back Light was made for the Game Boy Jam in about 4 days. In Back Light you play a kid up way past their bed time. You just want to play your game boy but this is before hand held gaming had back lights. So to increase you happy meter and score stand under a lit lamp. Make sure to keep your happy meter up and avoid your Mom to try and get the highest score!